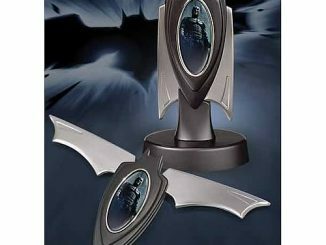 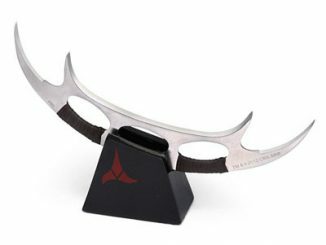 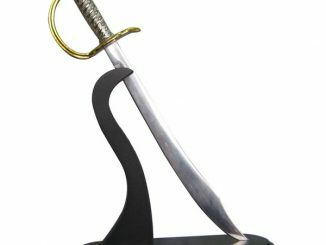 We can’t all have a batcave, a batmobile and a butler named Alfred, but you can add some style to your desk with this Batman Begins Batman’s Ninja Sword Letter Opener with Stand. 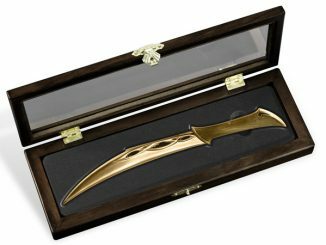 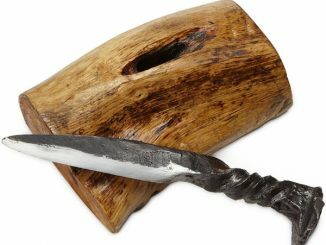 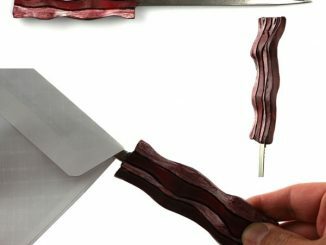 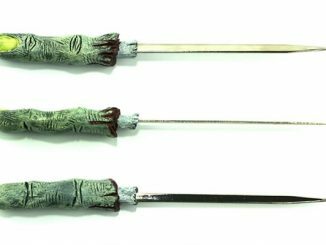 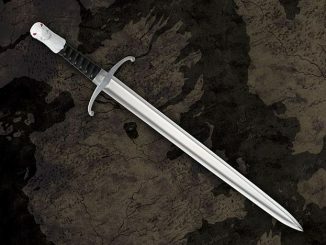 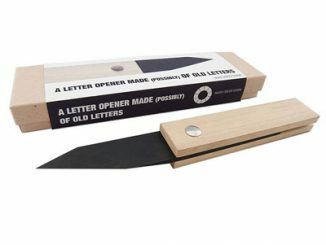 This stylish letter opener is based on designs from Christopher Nolan’s Batman Begins and has a stainless steel blade and a die-cast, cord-wrapped handle. 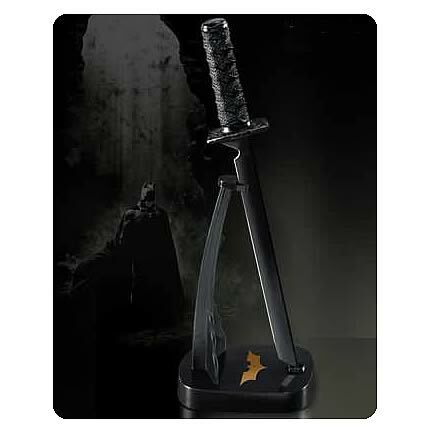 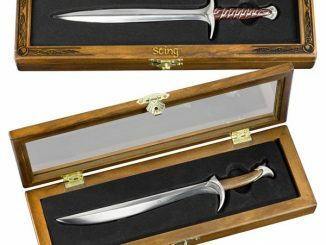 You also get a blade sheath and display stand. 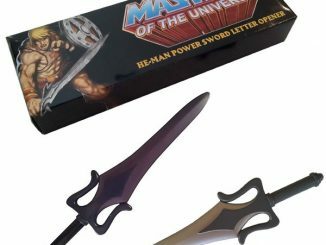 It measures 7-inches long. 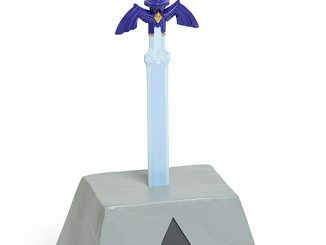 It can be yours for $14.99 from Entertainment Earth.